Red Dot Contemporary was a contemporary art gallery specializing in multiples, photographs, paintings, sculptures, video and mixed media works. Part of West Palm Beach's historic antique row, Red Dot hosted numerous shows exhibiting work from artists such as Jeff Koons, Kara Walker, Lisa Yuskavage and Hiroshi Sugimoto. Red Dot Contemporary was open from 2006-2009. 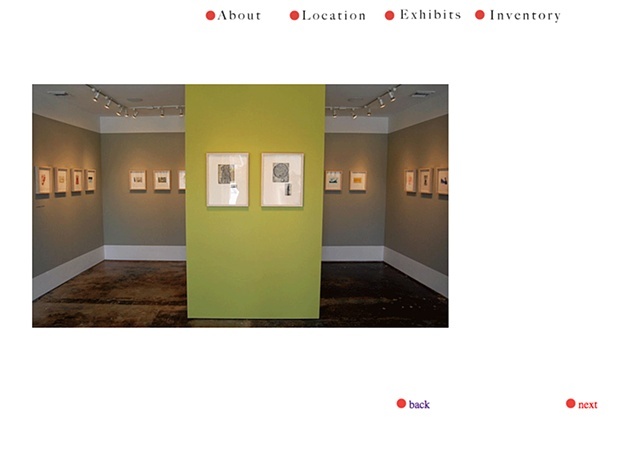 I worked as a Gallery Assistant to the Director/Owner, Kitty Bowe Hearty from 2007-2009. This website was built using Dreamweaver.